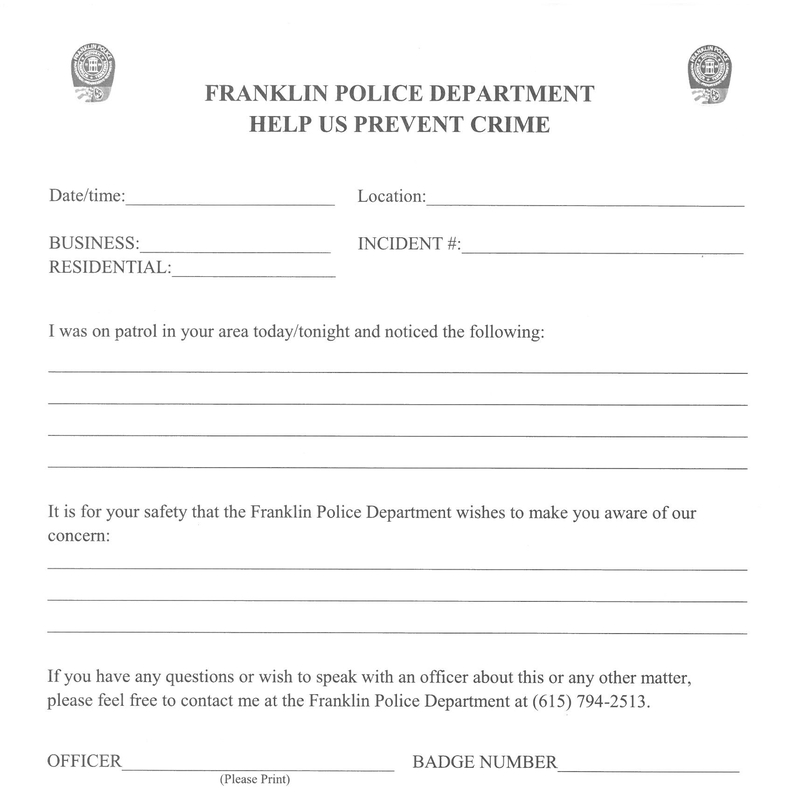 Franklin Police Officers patrolling neighborhoods and the city’s business districts are on the lookout for more than just crime and criminals. Officers who see something that could put you or your valuables at risk may leave this form to let you know they were there, and to share suggestions on how to increase your safety and security. Thanks for all you do. Stay safe.